iClone - How to move a horse by using the hotkeys? 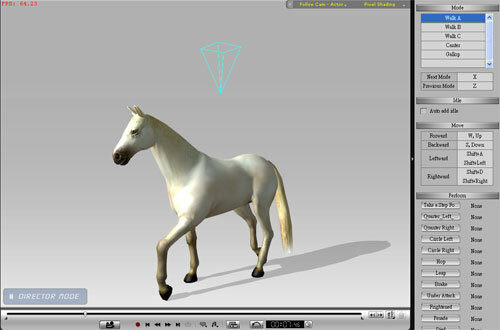 4.For example, you can press W to let the horse walk or press W + A to make the horse turn to the left. 5.Pressing X or Z could toggle the different walk mode of the horse. There are 3 different walk modes for the horse.